Select your issue to find out about your rights and options. Select an option... The school has asked me to withdraw my student because of their grades. The school has asked me to withdraw my student because of their attendance. The school has asked me to withdraw my student to avoid suspension/expulsion. The school has asked me to pay for books/fees/deposits. My student has been suspended. My student has been expelled/has an expulsion hearing. My student is being treated unfairly. The school used inappropriate force with my student. My student often spends his/her day in In-School Suspension (ISS). I think my student might have a disability. The school is not providing help for my student. The school said I could not enroll my student because of his/her disability. The school said I could not enroll my student because of his/her discipline record. The school said I could not enroll my student because of his/her attendance record. The school is not providing appropriate accommodations or modifications for my disabled student. My student is often in trouble at school. The school said I could not enroll my student because of his/her grades/credits. The school said I could not enroll my student because he/she does not speak English well. The school said I could not enroll my student because he/she is not a citizen. The school has asked me to withdraw my student because of their grades. A student has a right to a FREE APPROPRIATE PUBLIC EDUCATION. In general, this means that a student has a right to enroll and remain enrolled in ANY charter or district school regardless of disability, race, religion, gender, sexual orientation, or income. Schools often meet with families to convince them to leave the school. The school might suggest that the school "is not a good fit," "has a too rigorous curriculum," or that the student "would be more successful elsewhere." Because schools are graded on academic performance, they often try to remove lower performing students. It is a school's responsibility to make sure EVERY child succeeds. If your child has been more successful in the past, let the teacher/school know what worked. Teachers and schools are often just looking for solutions. Ask what interventions or accommodations have been made for you student. Work with the teacher/school to find other interventions or accommodations to make positive changes. Ask about free tutoring or homework help offered by the school. If your child has struggled for a long time, consider requesting testing for special education services. The school has asked me to withdraw my student because of their attendance. *A school may retain a student who has missed more than 10% of instruction time. *A school may expel a student for excessive truancy of they are 17 or older. Schools often meet with families to convince them to leave the school. The school might suggest that the student may be happier or motivated for school elsewhere. Because schools are graded on and funded by attendance, they often try to remove students with frequent absences. If your child has missed school due to a chronic illness or disability, request a 504 plan. This educational plan provides protections against discrimination for the illness or disability and outlines what the school plans to do to accommodate the student's needs. Students who miss school due to documented illness and complete the requirements of the course can not be retained. If your child has missed school because they are unmotivated, talk to your student about what they are avoiding. Consider that it might be particular students, teachers or even a subject. Communicate the information back to the school to come up with interventions that could improve the situation. Sometimes a student is unmotivated to go to school because they do not feel successful. If your child has struggled for a long time, consider requesting testing for special education services. If your student has missed school for religious reasons, communicate with the school about appropriate accommodations that can be made. The school has asked me to withdraw my student to avoid suspension/expulsion. *A charter or district school may deny enrollment to a student that has been expelled from a school. *Before an expulsion or suspension of more than ten consecutive days, a student has a right to hearing. Schools might treat students of a particular group differently. Schools might use a strategy of excessively disciplining a student to push the student out of school. Multiple suspensions for small infractions could be a sign that the school it trying to push your student out. Schools often meet with families to convince them to leave the school. The school might suggest that the student "would be more successful elsewhere" or that the student will continue to be in trouble or even expelled if they stay. Schools do not have any incentive to keep kids that need extra time and attention. Because expulsion requires extra documentation and a hearing before the board, many schools convince families to leave rather than going through the process. Suspensions and expulsion can have long-term effects on student success. Students of color, English language learners, and students with disabilities are disproportionately disciplined. Inform yourself, and the school about bias. Carefully read the student policies regarding the rules that are said to have been broken as well the policies about suspension and expulsion. Ask if other students have had similar incidents previously and how they were handled. Request the school provide any and all documentation regarding to the student's discipline record. Ask the school about interventions that can be used to improve student success. Often, misbehavior happens because a student is struggling to learn. If your child has struggled for a long time, consider requesting testing for special education services. If your student has a 504 plan or an IEP, request documentation on the accommodations that have been provided. **Specific laws apply to suspension and expulsion of students enrolled in special education. In general, students should not be excessively disciplined for behavior caused by their disability. The school has asked me to pay for books/fees/deposits. Transcripts, discipline records, attendance records, and Special Education documents should not be requested until after enrollment. The school should not ask for proof of citizenship, social security number, or money. Many charter schools use confusing language to suggest you must pay to register, attend, or purchase items. Public education is FREE. While it is normal for the school to request classroom supplies such as tissues and glue to offset expenses, students can not be required to purchase or pay for anything. A school is required to provide books, supplies and uniforms to students in need. Many schools use this strategy to keep students in need from attending their schools. Families willing to pay fees are more likely to donate in other ways and their students are less likely to need school resources. This contributes to segregation in schools. A school can charge for optional services and supplies. If the school requests payment for fees, required books or supplies, feel free to tell them NO. This should not discourage you from donating to a school that you would like to support. My student has been suspended. The school may suspend a student according to the written policy and precedent set in similar incidents. The school must provide a hearing according to their policy for a student with a suspension of more than 10 days. Schools might use a strategy of suspending students to push the burden of discipline on to the parent. Multiple suspensions for small infractions could be a sign that the school it trying to push a student out. Inform yourself, and the school about racial bias. Request the school provide any and all documentation regarding to the student's discipline record. Ask the school about interventions that can be used to improve student success. Often, misbehavior happens because a student is struggling to learn. If your child has struggled for a long time, consider requesting testing for special education services. If your student has a 504 plan or an IEP, request documentation on the accommodations that have been provided. **Specific laws apply to suspension and expulsion of students enrolled in special education. My student has been expelled/has an expulsion hearing. Schools must treat students without discrimination regardless of race, disability, religion, gender, or sexual orientation. The school may suspend or expel a student according to the written policy and precedent set in similar incidents. The school must provide a hearing according to their policy for a student who has been suspended for more than 10 days or has been recommended for expulsion. Schools might use a strategy of threatening to expel students to push the student out of the school. Schools do not have any incentive to keep kids that need extra time and attention. My student is being treated unfairly. The school used inappropriate force with my student. Trained personnel may use restraint and/or seclusion according to the school policy if the student is an eminent danger and other less restrictive means have failed. *Specific laws apply to the use of restraint, seclusion, and law enforcement. Individual school personnel might have used inappropriate force against the school policy. Schools are sometimes unaware that some of their practices might qualify as restraint or seclusion. School personnel are sometimes unaware of the policies when calling law enforcement. Restraint, seclusion, and corporal punishment can be traumatic to children in school. Carefully read the student policies regarding the rules that are said to have been broken as well the policies about restraint, seclusion and corporal punishment. Often, misbehavior happens because a student is struggling to learn. If your child has struggled for a long time, consider requesting testing for special education services. If your student has a 504 plan or an IEP, request documentation on the accommodations that have been provided. **Specific laws apply to the discipline of students enrolled in special education. My student often spends his/her day in In-School Suspension (ISS). The school may discipline a student according to the written policy and precedent set in similar incidents. I think my student might have a disability. A school is required to test students suspected of having a disability. A school is required to provide accommodations and modifications to the curriculum according to the needs of a disabled student. Educational testing is expensive and a school might avoid testing students for disabilities to save time and money. Specific laws apply to testing students for a disabilities. Because the laws can be tedious, schools might avoid placing a child in special education. All testing and accommodations for disabilities relating to education are FREE. Families should not be asked to pay for any testing, equipment, or fees. Schools often meet with families to convince them to leave the school. The school might suggest that the school "is not a good fit," "has a too rigorous curriculum," or that the student "would be more successful elsewhere." Because schools are graded on academic performance, they often try to remove students with a disability. Request, in writing, to have your student tested for a disability. The school is not providing help for my student. Schools sometimes have inflexible discipline policies that prevent students from reaching the curriculum. If necessary, request in writing to have your student tested for a disability. The school said I could not enroll my student because of his/her disability. A district or charter school is required to provide accommodations and modifications to the curriculum according to the needs of a disabled student. A school may not deny enrollment due to a disability. Providing appropriate accommodations for a disabled student might be expensive, time consuming, or difficult for the school, but it is the law. If you have been asked to meet before registering, this may be a sign the school will attempt to prevent enrollment. Schools often meet with families to convince them to choose a different school. The school might suggest that the school "is not a good fit," "has a too rigorous curriculum," or that the student "would be more successful elsewhere." Because schools are graded on academic performance, they often try to remove students with disabilities. Let the school know that you understand your right to enroll and their responsibility to provide a FREE APPROPRIATE PUBLIC EDUCATION. Insist that you have a right to enroll prior to meeting with anyone. Any meetings to ensure appropriate accommodations for a disability can be done after registration paperwork. Make sure that the school intends to provide the accommodations and modifications stated on their current IEP. An IEP should not have to be rewritten to attend the school of your choice. Ask what interventions or accommodations will be made for you student. Work with the teacher/school to find other interventions or accommodations to make positive changes. The school said I could not enroll my student because of his/her discipline record. *Before an expulsion, a student has a right to hearing before the school board. With the exception of a record of expulsion, a school may not deny a student enrollment due to previous discipline. Schools often meet with families to convince them to choose a different school. The school might suggest that the student "would be more successful elsewhere" or that the student will continue to be in trouble or even expelled if they stay. Schools do not have any incentive to keep kids that need extra time and attention. " The school said I could not enroll my student because of his/her attendance record. A school may not deny enrollment to a student due to their attendance record. Schools often meet with families to convince them to choose a different school. The school might suggest that the student may be happier or motivated for school elsewhere. Because schools are graded on and funded by attendance, they often try to remove students with frequent absences. If your child has missed school due to a chronic illness or disability, request a 504 plan. This educational plan provides protections against discrimination for the illness or disability and outlines what the school plans to do to accommodate the student's needs. Students who miss school due to documented illness and complete the requirements of the course can not be retained. The school is not providing appropriate accommodations or modifications for my disabled student. Providing appropriate accommodations for a disabled student may be expensive, time consuming, or difficult for the school, but it is the law. Schools often meet with families to convince them to choose a different school. The school might suggest that the school "is not a good fit," "has a too rigorous curriculum," or that the student "would be more successful elsewhere." Because schools are graded on academic performance, they often try to remove lower performing students. Let the school know that you understand their responsibility to provide a FREE APPROPRIATE PUBLIC EDUCATION. My student is often in trouble at school. The school said I could not enroll my student because of his/her grades/credits. By law, the school needs only proof of residency and proof of identity to enroll. Exceptions should be made for foster and homeless children. A school may not deny enrollment due to grades or credits. Schools often meet with families to convince them to choose a different school. The school might suggest that the school "is not a good fit," "has a too rigorous curriculum," or that the student "would be more successful elsewhere." They often suggest that they cannot offer the courses needed for the student to graduate. Because schools are graded on academic performance and graduation rate, they often try to remove students with low grades or few credits toward graduation. Insist that you have a right to enroll prior to meeting with anyone. Any meetings to ensure appropriate placement in courses can be done after registration paperwork. The school must arrange to provide the appropriate courses for your student. The school said I could not enroll my student because he/she does not speak English well. Providing appropriate accommodations for an English Language Learner may be expensive, time consuming, or difficult for the school, but it is the law. Schools often meet with families to convince them to choose a different school. The school might suggest that the school "is not a good fit," "has a too rigorous curriculum," or that the student "would be more successful elsewhere." Because schools are graded on academic performance and graduation rate, they often try to remove students who might struggle with the language. The school must provide an English Language Learning program for any student who has not passed the Arizona English Language Learner Assessment. The school said I could not enroll my student because he/she is not a citizen. Some schools and/or information may be missing from the list for one of several reasons, such as not providing the information requested, or not having enough students of a particular race/ethnicity to make data statistically significant. When it comes to accessing a quality education, not all children are treated equally. Referring students to law enforcement for minor infractions like dress code violations and behavioral transgressions, such as defiance and classroom disturbance. 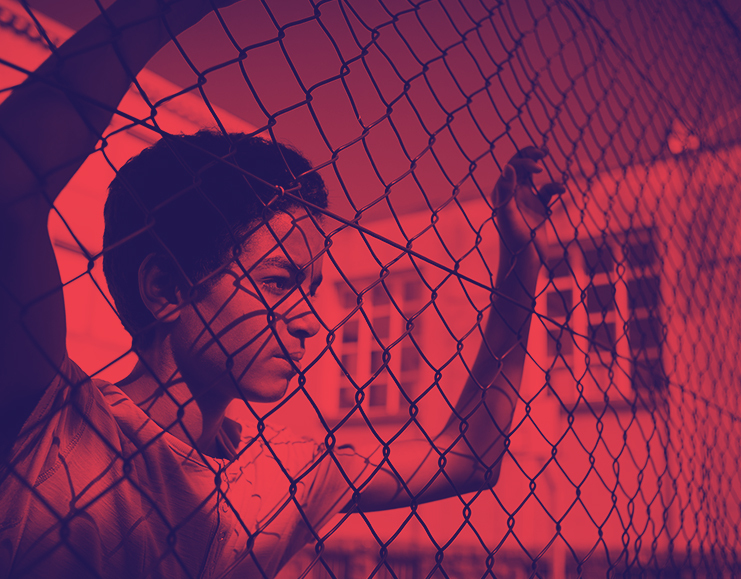 Not only have these extreme policies proven harmful to children, they also disproportionately affect children of color, English Language Learners, and students with disabilities. 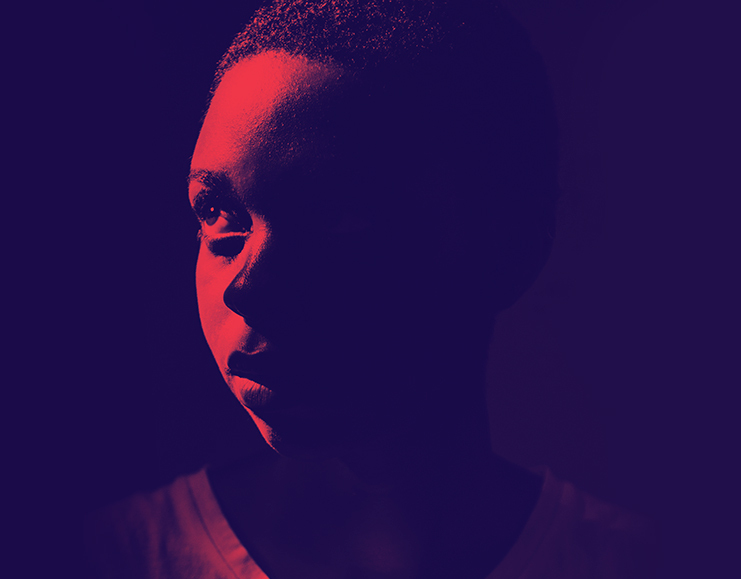 Student suspensions and expulsions lead to a greater likelihood of drop out, which in turn leads to a greater chance of interacting with the juvenile justice system. Latino students in charter high schools are SIX times more likely than their white peers to receive out-of-school suspensions. African American students in charter high schools are EIGHT times more likely than their white peers to receive out-of-school suspensions. Students with disabilities in elementary and middle schools are TWICE as likely as students without disabilities to receive in-school suspensions. In district schools neighboring tribal communities, Native American students are up to TEN times more likely than their white peers to be suspended. What’s the ACLU doing to fix it? The Demand to Learn campaign is focused on eliminating practices that disproportionately push children out of school or prevent them from enrolling. We’re partnering with school leaders to develop model schools that are committed to increasing student retention by 2020. Meanwhile, we’re working with families, providing them with training and organizing opportunities so that they can advocate for reforms that will help children stay in school. We’re also demanding changes at the state level, including better reporting and transparency about school disciplinary practices. This list is to help you think of evidence that might support your case. Questions and answers that will help you prepare. Take time to prepare before meeting with your child's school.